”Harvesting requires different tools than planting." Imagine planting a fruit tree. For the first few years, all you can do is care for and nurture it; it won’t produce any fruit until it’s full-grown. Once those years of peak harvest come, however, you’ll have more apples or cherries or peaches or whatever than you’ll know what to do with! Retirement is similar: your employees spend years focused on their retirement and saving for the future, but what happens when that future finally arrives? When they receive their last paycheck, will they know what to do? Some dream of that day; others dread it – whatever the case, when they reach this stage of their lives, how prepared (or unprepared!) will they actually be for it? When can participants withdraw their retirement account balance without penalty? 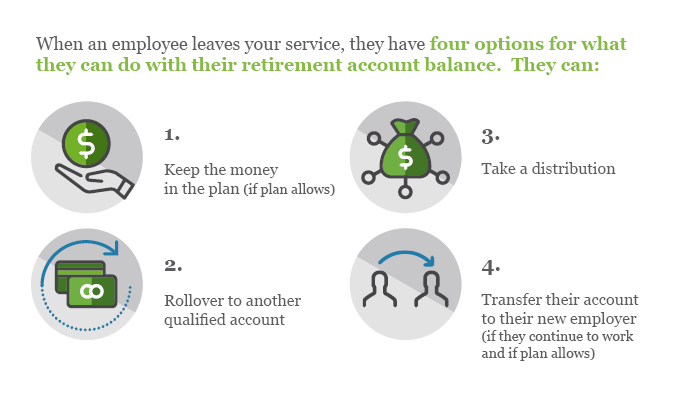 If your plan allows for “in-service withdrawals” or “in-service distributions,” then any employee above age 59½ can request to withdraw their account balance. If you don’t know whether this is the case with your plan, consult your summary plan document (SPD) or ask your TPA for more information. TIP: While you may not want to get involved in your employees’ personal finances, you may want to talk with them about their overall retirement planning and suggest they seek other options before making such a withdrawal. As an authorized signor of the plan, you will most likely be the one to fill out the withdrawal form. Ask your recordkeeper and TPA what paperwork you will need to submit, and be sure to keep copies for your own files. You will need to report the withdrawal type and amount when you file your next Form 5500. You may also have employees that have already retired. They are onto their encore chapters and hopefully well prepared. Here are few tips to keep in mind for these former employees. 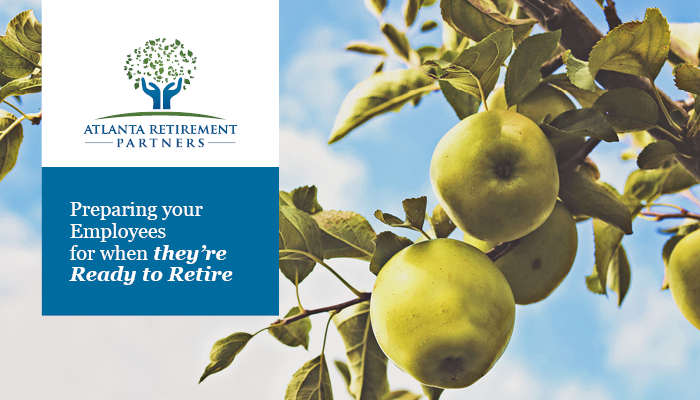 If the retiree keeps their money in the plan, they remain a participant, and you have a continued and ongoing fiduciary responsibility to them. One such responsibility is the Required Minimum Distribution (RMD). Employees must begin taking their RMDs by April 1st of the year immediately after they turn 70½. Employers should be aware of these responsibilities and work to maintain accurate addresses and contact information for these employees. TIP: Notify participants approaching or past 70½ of the filing deadline each year and whom they should contact to take their RMD. Be sure to document the letter and the actions you take in your retirement plan’s fiduciary file. On the other hand, if the retiree rolls over their account to another qualified account or takes a lump sum distribution, they are no longer a plan participant. You will still need to keep your books and records of their information; however, you will no longer have a fiduciary responsibility to their retirement account. This is why it is important to have education meetings and discuss with employees why they should plan for retirement in advance. Even after your employees exit their employment with you – and possibly the workforce entirely – your work as a plan fiduciary may still be ongoing. By educating your employees well before they reach retirement, you can help them think about and plan for the future. The earlier they start planning for retirement, the easier it might be for them to enter the next chapter in their lives. As you educate your employees through seminars, newsletters, and webinars, remember the importance of documenting all your actions. As a plan fiduciary, you need to demonstrate your efforts to inform and educate your employees on how to save, plan, and eventually decumulate their assets. In the end, the whole point of having a retirement plan is to help your employees reap the benefits of a fruitful career and create their own sustainable retirement income – and it’s your responsibility as an employer and plan fiduciary to make sure they can reap those benefits without trouble!